Somen Tchoyi scored a second half hat-trick as West Brom came from 3-0 down to salvage a draw at Newcastle. Steven Taylor's scrappy finish from close-range had given Newcastle the lead before Peter Lovenkrands added a controversial second. Jonas Olsson's 47th minute own goal appeared to seal West Brom's fate but the Baggies rallied in thrilling style. Tchoyi slotted in his first and fired in a second before capping a superb comeback with an injury-time header. It was an extraordinary end to a game that encapsulates both side's seasons. West Brom, for so long in a relegation dogfight, lacked their usual verve in attack without Peter Odemwingie and Jerome Thomas, while Newcastle enjoyed a punchy start in what was expected to be a dead-rubber at St James's Park. The decision to omit Odemwingie and Thomas appeared to be costly as Newcastle exerted their dominance in the early stages. So it was no surprise when the Magpies took a 16th minute lead through centre-back Steven Taylor, who bagged his third goal in as many games. West Brom failed to clear Ryan Taylor's inswinging corner and Steven Taylor, with his back to goal only three yards out, steered the ball into the net to open the scoring for the home side. The visitors were forced into more defending when Shola Ameobi came close to doubling Newcastle's lead in the 32nd minute. A casual clearance from Chris Brunt ricocheted off Joey Barton and into the path of Ameobi, who took the ball around Scott Carson and tried to squeeze his shot inside the near post - but Abdoulaye Meite got back just in time to clear. Newcastle did not have to wait long until their dominance was rewarded with a second, though it came in controversial circumstances. Lovenkrands's volley towards goal was palmed into the air by Carson, who scrambled back to prevent it going in before catching the ball on the goal-line. The assistant referee immediately signalled for a goal but replays proved inconclusive as the call for goal-line technology will surely gather pace again. West Brom, conscious of their need to try to pull one back before half time, crafted a couple of half chances and James Morrison came closest when he dragged Steven Taylor out of position with an intelligent first touch but fired his left-footed shot across the face of goal. West Brom's hopes of a second half recovery were dented just two minutes after the break when a harmless cross from Jose Enrique on the left wing was turned into his own net by Olsson to give the home side what looked like an unassailable 3-0 lead. 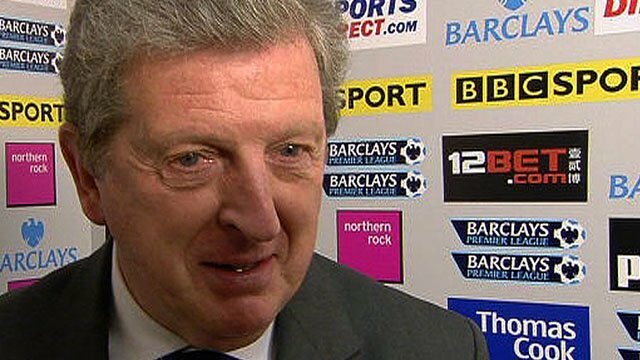 But West Brom displayed the kind of character that has moved them away from the bottom three and into the safety of mid-table during Roy Hodgson's reign as manager. Tchoyi, a handful to Newcastle all afternoon, timed his run perfectly to evade the home side's offside trap to slot the ball past Tim Krul and give West Brom what looked appeared little more than a consolation. But Tchoyi scored another in the 71st minute when he found space at the far post, sidestepped Fabricio Coloccini rather easily, and fired into the roof of the net from close range to set up a finish that seemed almost impossible at half time. Newcastle pushed to re-establish their two-goal cushion as Lovenkrands and Danny Guthrie both came close, but were unable to put the game to bed as Tchoyi became the hero with a dramatic late equaliser. Olsson collected the ball on the left wing and crossed to the far post to Tchoyi, whose run had not been tracked. The Cameroonian stooped low to head the ball home unchallenged from close-range before reeling away in elation. West Brom, who have still never lost on the final day of a Premier League season, end their campaign in 11th while Newcastle are forced to settle for 12th. 94:55 The final whistle goes and the game is over. 90:00+2:08 Corner taken by Chris Brunt from the left by-line, Header on goal by Steven Reid from inside the box goes harmlessly over the target. 90:00+1:49 Chris Brunt has an effort at goal. Danny Simpson gets a block in. 89:37 Assist by Jonas Olsson. 89:37 GOAL - Somen Tchoyi:Newcastle 3 - 3 West Brom Somen Tchoyi finds the net with a headed goal from close in. Newcastle 3-3 West Brom. 87:56 The ball is sent over by Sanchez Jose Enrique. 86:55 Ishmael Miller crosses the ball. 85:29 Corner taken right-footed by Ryan Taylor from the left by-line, Steven Taylor produces a right-footed shot from close range which goes wide of the right-hand upright. 85:17 The ball is sent over by Joey Barton, clearance by Ibanez Pablo. 83:57 Fabricio Coloccini fouled by Somen Tchoyi, the ref awards a free kick. Free kick taken by Tim Krul. 82:50 Steven Reid concedes a free kick for a foul on Leon Best. Shot on goal comes in from Ryan Taylor from the free kick, save made by Scott Carson. 81:39 Free kick awarded for a foul by George Thorne on Shola Ameobi. Free kick taken by Fabricio Coloccini. 78:49 Handball decision goes against Ishmael Miller. Tim Krul takes the indirect free kick. 77:57 Ryan Taylor takes the inswinging corner, free kick awarded for a foul by Leon Best on George Thorne. Indirect free kick taken by Scott Carson. 77:16 Outswinging corner taken right-footed by Ryan Taylor from the right by-line to the near post, Somen Tchoyi makes a clearance. 77:07 Sanchez Jose Enrique sends in a cross, clearance made by Jonas Olsson. 74:23 Chris Brunt takes the inswinging corner, Jonas Olsson produces a header from close range which goes wide of the left-hand post. 73:04 The ball is swung over by Leon Best. 72:14 Substitution Ishmael Miller comes on in place of Marc-Antoine Fortune. 72:14 Substitution Leon Best on for Danny Guthrie. 70:55 Jonas Olsson provided the assist for the goal. 70:55 GOAL - Somen Tchoyi:Newcastle 3 - 2 West Brom Somen Tchoyi finds the net with a goal from inside the penalty box to the top right corner of the goal. Newcastle 3-2 West Brom. 70:17 Inswinging corner taken left-footed by Chris Brunt from the right by-line to the near post, Alan Smith manages to make a clearance. 69:07 Substitution Peter Lovenkrands leaves the field to be replaced by Alan Smith. 67:59 Somen Tchoyi challenges Ryan Taylor unfairly and gives away a free kick. Tim Krul restarts play with the free kick. 65:56 Centre by Sanchez Jose Enrique, clearance made by Nicky Shorey. 65:16 Ryan Taylor produces a cross, Peter Lovenkrands has an effort at goal from deep inside the area missing to the right of the target. 64:39 Ryan Taylor has an effort at goal. Blocked by Jonas Olsson. 63:29 Substitution Kazenga LuaLua is brought on as a substitute for Shane Ferguson. 62:55 Inswinging corner taken by Ryan Taylor from the left by-line. 61:25 Steven Reid provided the assist for the goal. 61:25 GOAL - Somen Tchoyi:Newcastle 3 - 1 West Brom Somen Tchoyi finds the back of the net with a goal from inside the area to the bottom right corner of the goal. Newcastle 3-1 West Brom. 60:32 Shot by George Thorne. Steven Taylor gets a block in. 59:05 Substitution Paul Scharner goes off and George Thorne comes on. 58:26 Sanchez Jose Enrique challenges James Morrison unfairly and gives away a free kick. The free kick is swung in left-footed by Chris Brunt. 57:46 Peter Lovenkrands concedes a free kick for a foul on Jonas Olsson. Indirect free kick taken by Scott Carson. 48:31 Shot from just outside the box by Youssouf Mulumbu goes over the bar. 48:04 Outswinging corner taken from the left by-line by Chris Brunt. 46:37 The assist for the goal came from Sanchez Jose Enrique. 46:35 Sanchez Jose Enrique provided the assist for the goal. 46:35 GOAL - Jonas Olsson:Newcastle 3 - 0 West Brom Jonas Olsson concedes an own goal. Newcastle 3-0 West Brom. 45:23 The assistant referee flags for offside against Marc-Antoine Fortune. Free kick taken by Tim Krul. 45:01 Substitution Ibanez Pablo comes on in place of Abdoulaye Meite. 45:00+1:31 The referee calls an end to the first half. 45:00+0:16 Effort on goal by James Morrison from inside the box misses to the right of the target. 43:39 The ball is crossed by Danny Simpson, Ryan Taylor has a headed effort at goal from just inside the penalty area that misses to the left of the goal. 42:50 Shot from 20 yards from Danny Guthrie. Save by Scott Carson. 42:13 Free kick awarded for an unfair challenge on Chris Brunt by Ryan Taylor. James Morrison takes the free kick. 41:41 Marc-Antoine Fortune takes a shot. Clearance by Steven Taylor. 38:26 Assist by Shola Ameobi. 38:26 GOAL - Peter Lovenkrands:Newcastle 2 - 0 West Brom Goal scored by Peter Lovenkrands from inside the box to the bottom left corner of the goal. Newcastle 2-0 West Brom. 37:09 Shot by Chris Brunt. Save by Tim Krul. 36:13 Fabricio Coloccini delivers the ball, Headed effort from inside the area by Steven Taylor misses to the right of the goal. 35:40 Outswinging corner taken by Ryan Taylor from the right by-line, Jonas Olsson manages to make a clearance. Correction - 35:01 Danny Guthrie has an effort at goal. Jonas Olsson gets a block in. 35:01 Danny Guthrie has an effort at goal. Blocked by Jonas Olsson. 34:02 Shola Ameobi takes the chance to get an effort at goal. Blocked by Jonas Olsson. 33:37 The ball is swung over by Sanchez Jose Enrique. 33:23 Short corner worked by Ryan Taylor. 33:07 Effort on goal by Shola Ameobi from 18 yards. Blocked by Chris Brunt. 31:56 The offside flag is raised against Marc-Antoine Fortune. Tim Krul restarts play with the free kick. 31:07 The referee blows for offside against Marc-Antoine Fortune. Tim Krul takes the free kick. 29:19 The offside flag is raised against Marc-Antoine Fortune. Fabricio Coloccini restarts play with the free kick. 27:34 The assistant referee flags for offside against Marc-Antoine Fortune. Indirect free kick taken by Danny Guthrie. 27:11 Centre by Sanchez Jose Enrique, Peter Lovenkrands takes a shot. Save made by Scott Carson. 26:20 The ball is sent over by Joey Barton. 25:26 Unfair challenge on Peter Lovenkrands by Youssouf Mulumbu results in a free kick. Free kick crossed by Ryan Taylor, clearance made by Abdoulaye Meite. 24:39 Fabricio Coloccini challenges Marc-Antoine Fortune unfairly and gives away a free kick. Indirect free kick taken by Chris Brunt. 20:55 Effort from the edge of the area by Shane Ferguson goes wide of the right-hand post. 20:44 The ball is swung over by Shola Ameobi, clearance made by Jonas Olsson. 19:44 Effort from outside the area by Youssouf Mulumbu goes wide right of the goal. 17:35 Free kick awarded for an unfair challenge on Sanchez Jose Enrique by Somen Tchoyi. Tim Krul restarts play with the free kick. 16:42 Corner taken left-footed by Chris Brunt from the right by-line to the near post, Ryan Taylor manages to make a clearance. 15:07 Peter Lovenkrands provided the assist for the goal. 15:07 GOAL - Steven Taylor:Newcastle 1 - 0 West Brom Steven Taylor scores a goal from close range low into the middle of the goal. 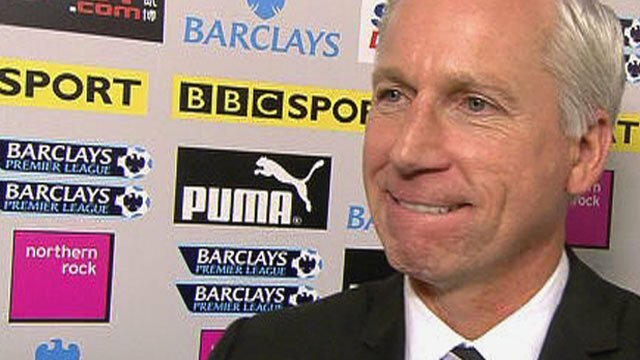 Newcastle 1-0 West Brom. 14:32 Inswinging corner taken by Ryan Taylor from the left by-line played to the near post, clearance by Jonas Olsson. 13:14 Shola Ameobi is ruled offside. Scott Carson takes the indirect free kick. 12:31 Sanchez Jose Enrique sends in a cross. 10:53 Corner taken by Chris Brunt, clearance made by Steven Taylor. 7:24 Marc-Antoine Fortune challenges Fabricio Coloccini unfairly and gives away a free kick. Indirect free kick taken by Tim Krul. 6:27 Marc-Antoine Fortune takes a shot. Clearance made by Danny Simpson. 3:31 Unfair challenge on Shane Ferguson by Steven Reid results in a free kick. Sanchez Jose Enrique takes the free kick. 2:41 Drilled left-footed shot by Shane Ferguson. Save made by Scott Carson. 0:13 The assistant referee flags for offside against Peter Lovenkrands. Indirect free kick taken by Scott Carson.